More than 300,000 species of beetles exist in the world, including 30,000 species that live in North America. The majority of beetles live on land, but some are found in freshwater and others can survive in either element. During development, beetles go through four stages -- egg, larva, pupa, and adult. This life cycle pattern is called a metamorphosis. Female beetles generally lay their eggs in the spring to summer in a protected area such as in woods, under tree bark or on a leaf. The mother beetle typically chooses a place where food is plentiful. Females can lay a cluster of up to 60 eggs or a single egg, depending on species. When the temperature is warm enough, the eggs hatch. This usually occurs within in a few days or up to two weeks later. After hatching, the larvae -- called grubs -- resemble worms or maggots. These first-stage grubs eat grass roots and other plant matter until the end of summer. At this stage, the larvae are very small and feed close to the surface. Their small size and lack of strength make them vulnerable to biological and chemical insecticides. As the grubs grow, they shed their outer covering numerous times. Some species of beetles use this shedding as a protective covering. For instance, as the tortoise beetle sheds, the covering attaches to small prongs that hold the shed skin over the body like a shield. The larva now builds a cocoon around itself similar to that of a caterpillar. The shelter, and this stage of the beetle, is called a pupa. While in its cocoon, the pupa develops legs, wings, antennae and other organs. At this time, the pupa does not eat nor move around. The pupal stage usually begins over the course of winter and generally takes up to nine months to complete, depending on the beetle species. An adult beetle emerges from the cocoon. The beetle is now on the lookout for food and a mate. Most adult beetles live on plants and eat plant matter, seeds, fruit or wood. Other species burrow into the ground and live in the soil. They are most active at night. After mating, the life cycle begins again. Some beetle species produce several generations each year. 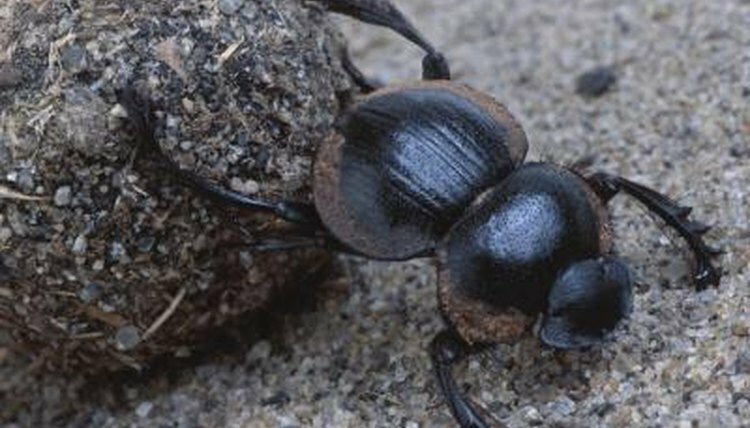 Other beetles can require up to five years to complete their metamorphosis.